We will get you out of pain. And service beyond your expectations. Thinking About Becoming A New Patient? Welcome to Eatonville Dental, Etobicoke family dentist office, established by husband and wife team, Drs. Leo and Oresta Kovbel, and joined by Dr. Jerry Shudrak. 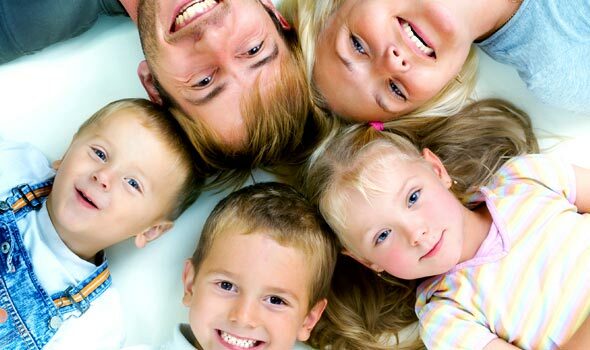 We pride ourselves on being Etobicoke’s family dental office, because there is nothing more important to us than caring for your family. Our dental team works in synergy to understand you, our patient, your family and make your visit a pleasant one every time. That’s why investing in state-of-the-art equipment and technology was just the beginning. Then we were joined by the best staff in their field (at least that’s what we think:) You have to meet them to believe it. From our greeting area, to our gentle dental hygienist, and attentive dental assistants it all adds up to the best family dentist experience. Then we added attention to detail, highest standard of patient care, personalized care, gentle dental care, and a lot of other care! The product is the Etobicoke family dentist office Eatonville Dental. You have to be here to believe it! Dentistry as comfortable as you want it, personalized gentle care you deserve and service beyond your expectations. Dr Oresta Kovbel is a dentist with gentle, feminine touch, caring and genuine personality. After obtaining her Bachelor of Science degree from Western University, she graduated from McGill’s Dental School with Honours. Following that, Dr Oresta completed a surgical residency which entailed advanced surgical training, management of after-hour emergencies and traumas, as well as pediatric and geriatric training. She enjoys working with patients of all ages. 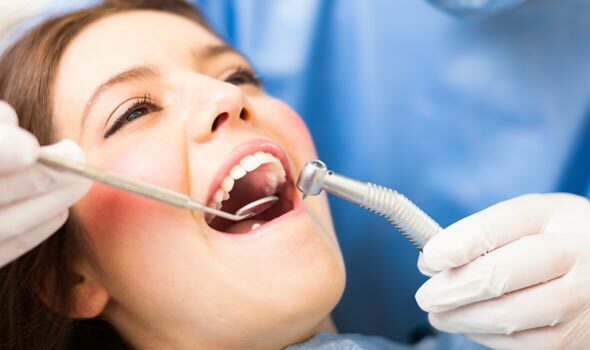 Through her training, Dr. Oresta is certified to administer nitrous oxide and moderate sedation. Dr. Oresta is a member of the International Congress of Oral Implantologists and performs both surgical and restorative phases of implant treatment. This dentist believes in treating each of her patients as she would her family. She always takes the conservative approach to dentistry, and is a strong believer in preventative treatment. Through continuing education that she enjoys taking above and beyond the college requirements, the dentist ensures to be up-to date with new technologies, and innovative techniques and materials that can make a difference in patients’ treatments. 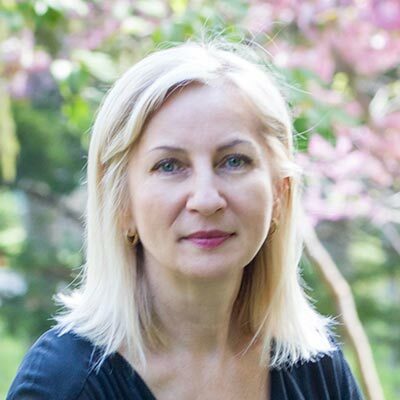 Dr Oresta Kovbel lives with her husband, and three children in Etobicoke. As she likes to joke, Eatonville Dental is her fourth child, and she puts her heart and soul into making it the office that she can be proud of, for the care that it delivers to its patients. Dr. Leo graduated from McGill’s Dental School with a few awards behind his name. He is a lifelong self-learner and excels at constantly updating his knowledge and skills. He enjoys all aspects of dentistry and loves working with kids. At the same time, Leo believes in healthy living and fitness and does his best to try and slip in his workouts during his busy days. He enjoys reading a good book in his spare time, if only he could find a spot away from his three kids. Ukrainian dentist. 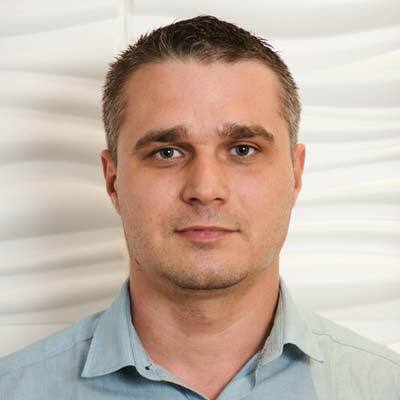 Dr. Izabela is a professional and empathetic dentist, who deeply cares about the well being of her patients and practices with kindness and compassion. 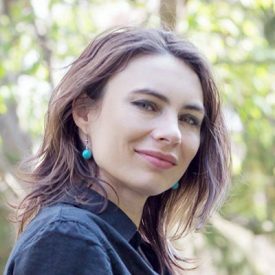 A graduate from the University of St. Cyril and Methodius in Macedonia, Dr. Izabela finished her DDS equivalency process in Canada, and is a proud member of the Canadian Dental Association,Royal College of Dental Surgeons and European Society of Cosmetic Dentistry. Dr. Izabela enjoys all aspects of dentistry and is enthusiastic about promoting a preventative approach to dental care. Dr. Izabela is married with a young daughter, enjoys travelling, has been collecting postage stamps as a hobby since young age, and is always looking for ways to help other people in need. Dr. Jerry joined Eatonville Dental after working in a private practice for over 40 years. 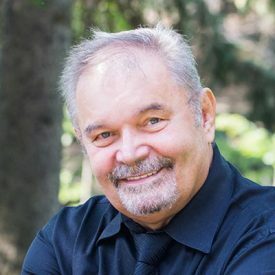 He obtained a BA from the University of Waterloo in 1968, graduated from the University of Toronto’s Dental School in 1972 and has been practising dentistry in Toronto and in the GTA ever since. He established Acacia Dental in 2003. Throughout the years, Dr. Jerry completed multiple continuing education courses and expanded his practice to include dental laser treatment, implant therapy, occlusal rehabilitation, TMJ and TMD treatments and much more. Dr. Jerry’s approach to dentistry is that of a whole body treatment, where he evaluates the impact that dentition, tissues, muscles, and jaws have on the overall well-being of the patient. Dr. Jerry is passionate about dentistry and believes that the role of the dentist is far beyond that of just fixing teeth. And, it goes without saying that his amiable personality and great sense of humour always make for a pleasant dental visit. Dr. Briza loves Dentistry with a specific interest in Orthodontics. Since graduating from dental school in 1999, she has been pursuing this passion. In 2005, she completed her MSc in Dentistry and received her diploma in Orthodontics from the Federal University of Rio de Janeiro (Brazil). In 2006 she moved to Canada and a few months later started teaching Orthodontics at McGill University in the Faculty of Dentistry. 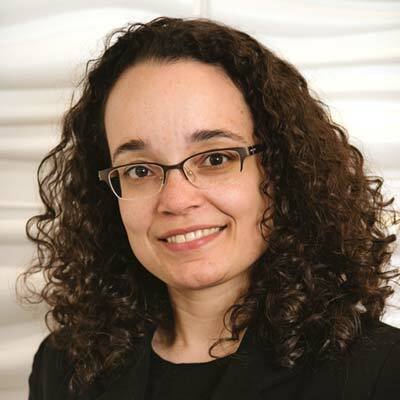 After earning her DMD (Doctor of Dental Medicine) degree in 2011 from McGill, she has been thrilled to combine her teaching and private practice experiences. Currently Dr. Briza is a clinical instructor at the University of Toronto in the Faculty of Dentistry (Discipline of Orthodontics). 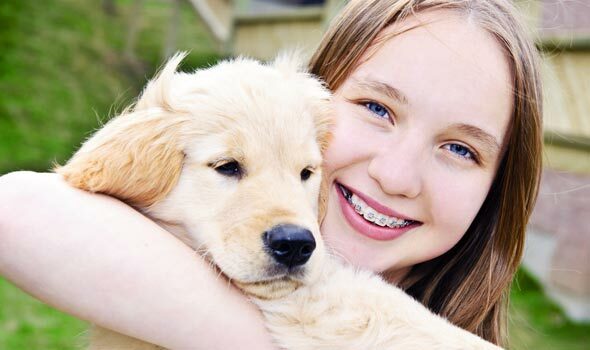 The connection to the University, in addition to other continuing education courses, allows her to constantly provide excellent orthodontic care while furthering her expertise. Dr. Briza strongly believes that evidenced based approaches are essential in orthodontics and she strives to provide the most up to date care to all her patients. Working in orthodontics means a lot to Dr. Briza due to the positive impact she has on her patients. It is continually rewarding to observe the changes in each patient, as they occur over the course of the treatment. She works collaboratively with her patients, discussing treatment details while listening and answering questions, to ensure that all patients are confident and comfortable throughout their treatment. Dr. Briza is fluent in Portuguese, French and English. When she is not in the office, she enjoys spending time outdoors with her husband Alex, her son Thomas and her two dogs Gucci and Pinot. Portugese orthodontist. 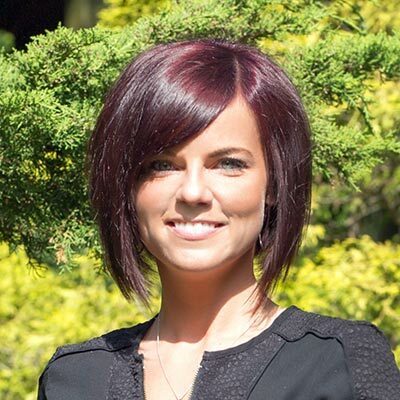 Joanna, originally from London, Ontario, started her career in dentistry in 2004 when she graduated from a Level II Dental Assisting Program with Honours. 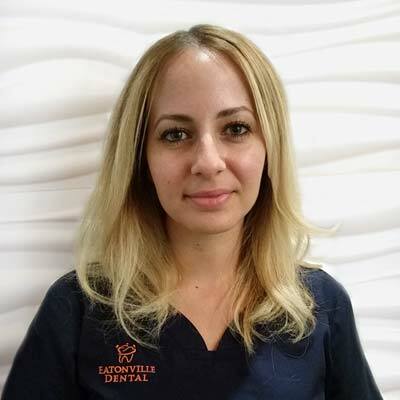 She has worked in various positions in the dental field which has given her a strong background for her current role as Eatonville Dental’s Treatment Coordinator. She has excellent people skills and is always more than happy to assist you with any questions you might have regarding your proposed treatment needs and options, as well as help you navigate through the financial options available to you to get the smile you want. In her spare time, Joanna enjoys keeping fit and spending time with friends and family. She also loves animals, photography and travelling. Maria brings to her role, along with her friendly personality, 18 years of experience in the dental field. She started as a dental assistant and then progressed to an administrative office position through additional training. She has a great time in her role at Eatonville Dental and is always eager to help you with whatever questions you have. Maria is fluent in English, Ukrainian and Polish. In her spare time, Maria enjoys cooking for her husband of 25 years and for her two adult children. She loves music, especially jazz, and a good glass of wine. She lives in Etobicoke with her family and enjoys everything this western district has to offer. 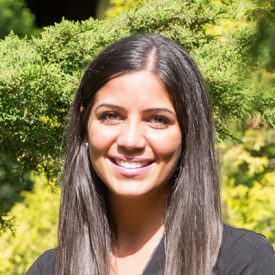 Our Dental Hygienist, Giovanna will give you a gentle yet thorough dental cleaning. She has called Toronto home her whole life. She has always wanted to be in a dental hygienist profession where it would involve the well being of others and increasing one’s confidence. She believe’s a confident smile is the entrance way to one’s self-esteem. She found a particular interest in dental hygiene when she worked as a dental administrator and knew this was the profession for her! Giovanna completed her studies to become dental hygienist in downtown Toronto in 2011. She received an award for Clinical Excellence and graduated with honors. Outside of work, she enjoys spending time with her family, friends and being outdoors. As a dental hygienist, she loves being able to educate her patients on how periodontal health relates to overall health and wellness. She is very caring of her patients and wants to make their experience a very relaxing and comfortable one. She is excited to empower patients to take a proactive approach to dental hygiene care and welcomes new patients! Your smile is contagious, so keep on smiling! Iryna has been a Certified Dental Assistant Level II since 2010. As a member of the Ontario Dental Assistant Association, she has been committed to continuing her education year after year. Iryna loves every aspect of her profession, especially making patients of all ages feel relaxed and comfortable. 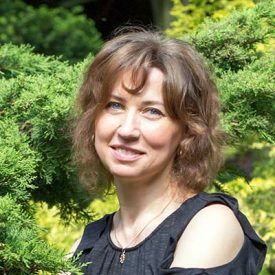 According to Iryna, the best part of assisting is the rewarding feeling of helping people, improving their overall health and seeing them smile with confidence. In her spare time, Iryna likes to spend time with family, listening to classical music and reading. She also loves skiing and yoga. Iryna is fluent in Ukrainian, Polish and Russian. 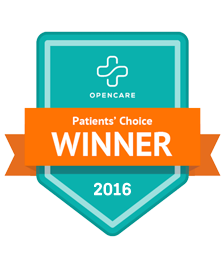 Our Recognition – Happy Patients! Once, a curious patient asked me, “What is the highest recognition a dentist can get?” My answer was, “a happy patient”. 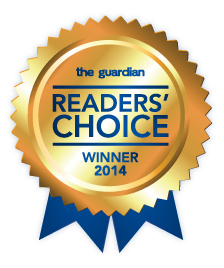 We would like to thank all of our happy patients who nominated us and voted for Eatonville Dental to be honored the “Best Dentist” gold title in Etobicoke. We truly appreciate it!